Learn what to do and get what you want when dealing with people who do NOT share your principles and moral values. When sitting across the table to negotiate with a amoral predator, especially a narrow minded vision-less hungry predator, one must have all possible leverage in place and ready to call up as needed. Without it, the amoral predator will pounce regardless of the consequences and without empathy or care for who or what is destroyed as long as it feeds. 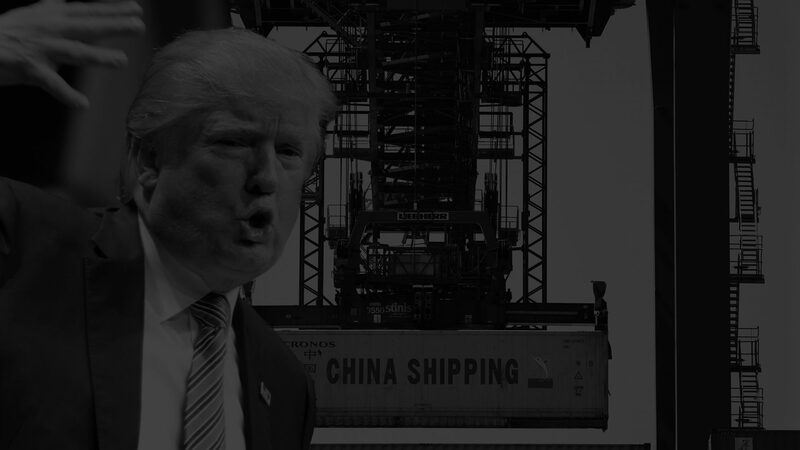 In the case of known amoral predator Donald J. Trump and his self-launched international trade wars, I have long contended each country must NOT speak with Trump until they had new deals in place to counter his wild attacks on trade. This would put him back in his place and keep the global order stable and consistent without unnecessarily hurting economies. In fact, when Trump called, a smart negotiator would NOT take the phone call and tell him they are unavailable. Then hit the phones and start making contingent deals with others. Once all deals are in place and leverage ready, then take the Trump call. On the call, softly and clearly let him know they are seriously interested in all deals that make cents and help everyone. However, if any deal is one-sided and meant to punish or hurt, it will be met with indifference and deals will be immediately launched with others excluding the USA and will be backed up with absolute moves without delay. It appears that Germany is doing that now and making deals with China. This will give them leverage in dealing with Trump. 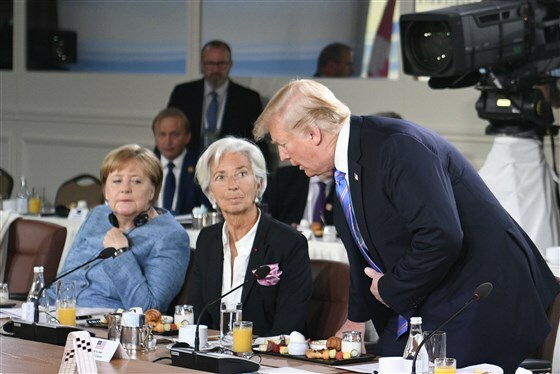 German Chancellor Angela Merkel and International Monetary Fund Managing Director Christine Lagarde react as President Donald Trump arrives late for a breakfast meeting discussion on gender equality at the G-7 summit this past June. Amoral predators are always about eating. So faced with no food, a predator will back down. This is the only way to get them to stay within civil society. Appealing to the greater good will make no sense to them. It means nothing. So remember, you may have principles or morals and a set of guidelines you live by but the amoral predator does not share those values and will stomp on them without conscience. Thus, leverage is the only thing that counts in these cases. Use it wisely. Respect it. And be a true leader.